Ivan Ssemwanga never ceases to amuse and he is a true definition of the popular Uganda proverb that you can remove someone from the village but you can't remove the village character in them. 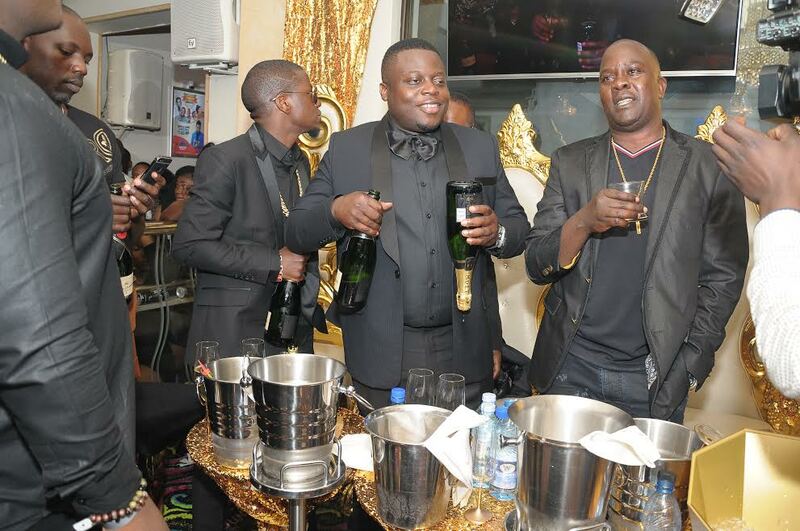 South Africa-based sangoma's(witchdoctors) Ivan Ssemwanga, Ed Cheune treated industrial based club Guvnor revellers to a mogul event on Wednesday dubbed Money, Fame and Power. 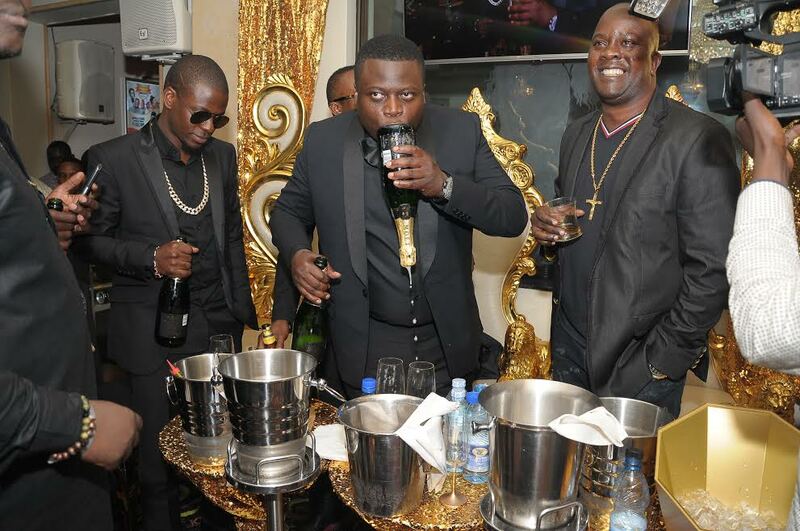 Surprisingly what shocked our snoops is how celebrated don Ivan Ssemwanga sipped on a most champagne upside down leaving revellers wondering whether he bought something he doesn't know how it's consumed, but better still Ssemwanga could ask around. Ivan did this all night long. The party was also graced by performances from Radio and Weasel, Sheeba andRodney Y.